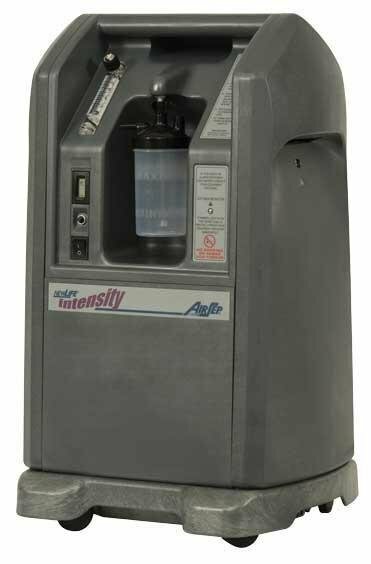 The AirSep NewLife Intensity is the most durable and capable high-, continuous-flow stationary oxygen concentrator. This stationary oxygen concentrator combines high pressure - 20 psi outlet pressure - with high flow to create up to 10 LPM of therapeutic oxygen. The AirSep New Life Intensity 10 LPM is ideal for long-term care facilities where higher oxygen flow is necessary. Long tubing runs up to 200 ft (61 m). Backlined flow meter for easy viewing.